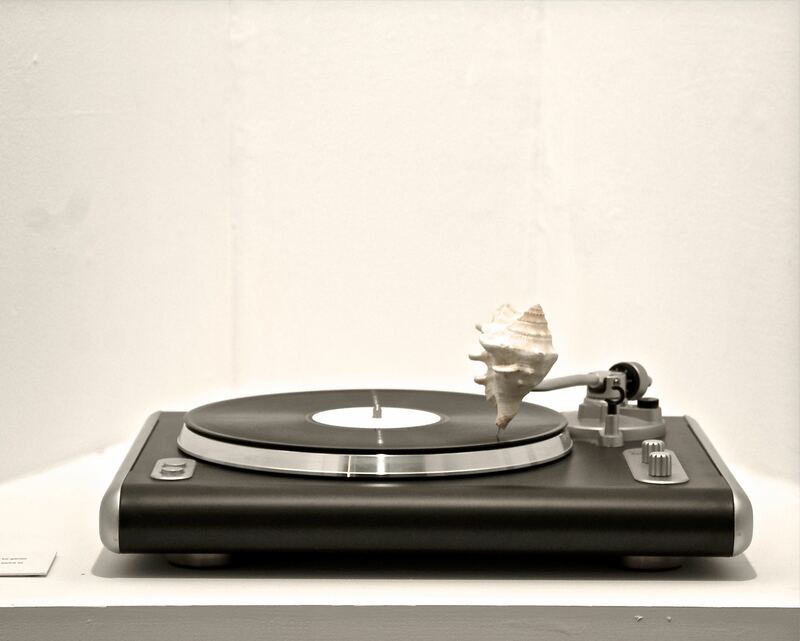 Silent Ocean consists of a modified record player, where the stylus is replaced with a seashell connected to an embroidery needle. The record, a silent record containing grooves, deteriorates throughout the duration of the exhibition with the over-sized needle digging into it. In other words, the silence of the record turns into noise, becoming louder and louder upon each play; the tonal characteristics of are not unlike the sound of an ocean lapping upon a shore. Image courtesy Anna Leonowens Gallery, NSCAD University.